I was thinking for a while about the three-armed tuning key which is illustrated in Mersenne’s 1635 book, Harmonie Universelle. 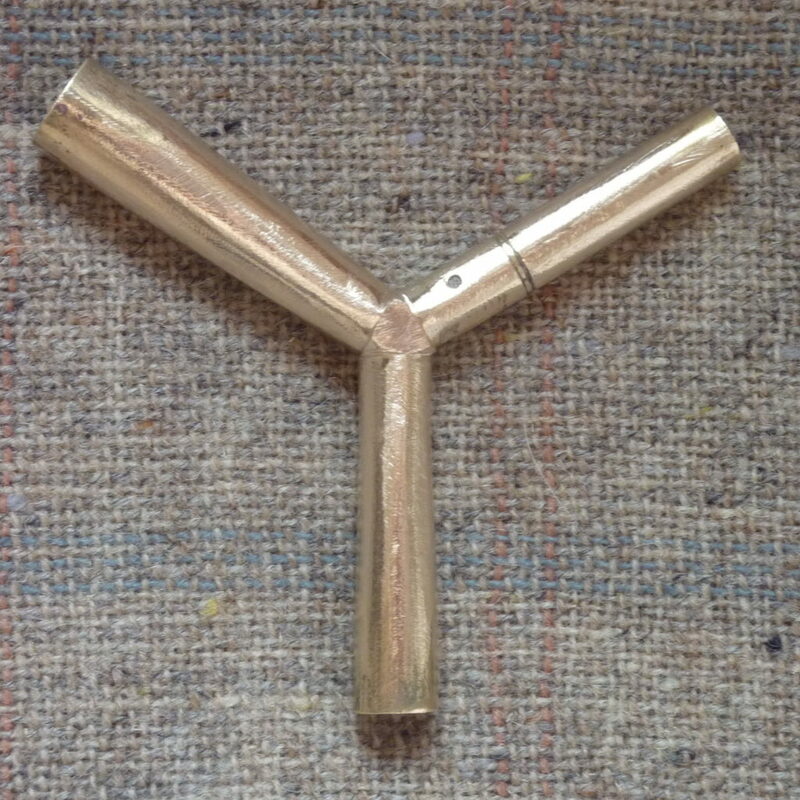 Joan Rimmer says in her article ‘The morphology of the triple harp’ (Galpin Society Journal XVIII, March 1965) “the three-armed tuning key still used in Wales is identical with that shown in Mersenne’s diagram”. 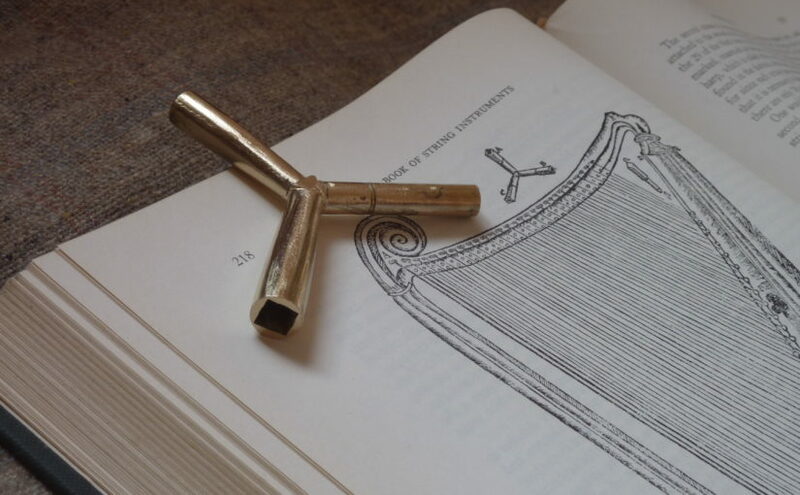 I remember Tim Hampson showing me one, which fitted the three different sizes of tuning pin drives on a reproduction 18th century Welsh triple harp he had made. I made my triple tuning key from brass, but instead of three close sizes to fit three types of pin on one harp, I used three very different sizes to fit all different kinds of harps. The huge socket will fit the Carolan harp replica; the middle sized socket will fit Student harps with standard American pedal-harp pins; and the tiny socket will fit modern minis such as the Dolmetsch harp or Ardival Kilcoys. Now I have made it I am thinking it is a bit too small to be totally comfortable to use; the arms should be 1 or 2cm longer. But it makes a great keyring tuning key. I’ve listed it on my tuning pins for sale page – if you want one you know where to come!